Police forces filed 21% more requests for data from Facebook in the first half of 2017 than they did in the last six months of 2016. The figure was revealed in Facebook's annual transparency report, which logs requests for data and content removal. In the US, 57% of the requests were restricted, meaning people could not be told that police were curious about their social-media habits. Privacy campaigners said they wanted more detail on the data handed over. The transparency report reveals the times law enforcement, governments and regulators asked the site for data on account holders or to restrict access to images and video. It also logs the times when access to Facebook is restricted and, for the first time, reports requests from rights holders over pirated, trademarked or counterfeit content. In a blog, Chris Sonderby, Facebook's deputy general counsel, said it had handled 78,890 requests for information on account holders in the opening six months of 2017. Not all of the requests had resulted in data being handed over, he said. Figures provided by Facebook suggest it handed over data in 85% of requests from US law enforcement and 90% in the UK. Many of the requests were from police forces investigating crimes or responding to emergencies. Mr Sonderby said Facebook tried to ensure it handed over as little data as possible. "If a request appears to be deficient or overly broad, we push back, and will fight in court if necessary," he wrote. Facebook had seen a big increase in the number of requests to stop people seeing content that broke local laws, said Mr Sonderby. Much of the increase was driven by one case in which Mexican police asked Facebook to stop the circulation of a video taken during a school shooting in Monterrey in January. During the attack, four people suffered gunshot injuries and it ended with the shooter killing himself. Facebook restricted access to more than 20,000 copies of the video between January and June. 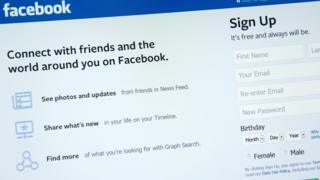 Camilla Graham Wood, legal officer at Privacy International, said it was encouraging that Facebook had produced the report and called for more companies to do the same. She said: "We would welcome more detail in the report to provide further insight into the government requests and Facebook's response." It would have been good to get additional information about requests for data from Facebook's other properties including Messenger, Instagram and WhatsApp, she said. "We are also concerned that the type of information disclosed in the transparency report could merely be the tip of the iceberg of what is really going on," said Ms Wood.